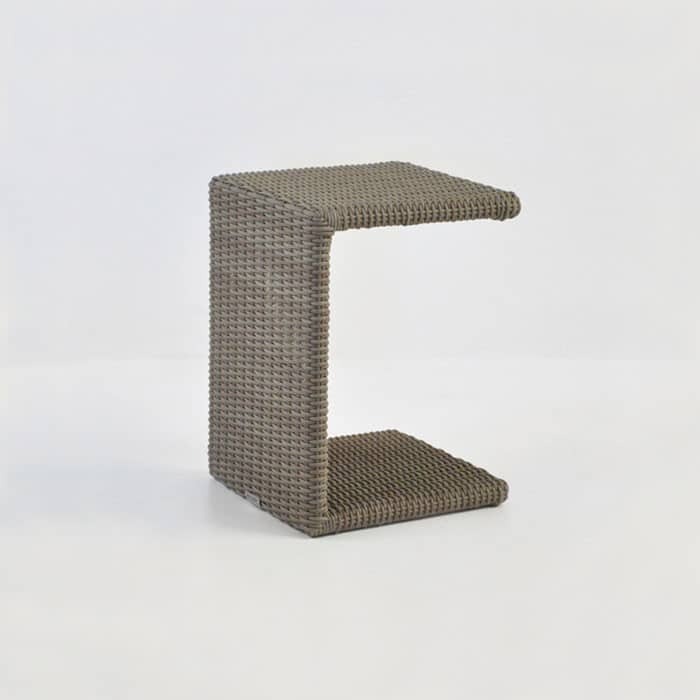 Made from a unique blend of All Weather Wicker; the Rocco Outdoor Wicker Side Table (Kubu) rests on a powder coated aluminium, built to last in the great outdoors. 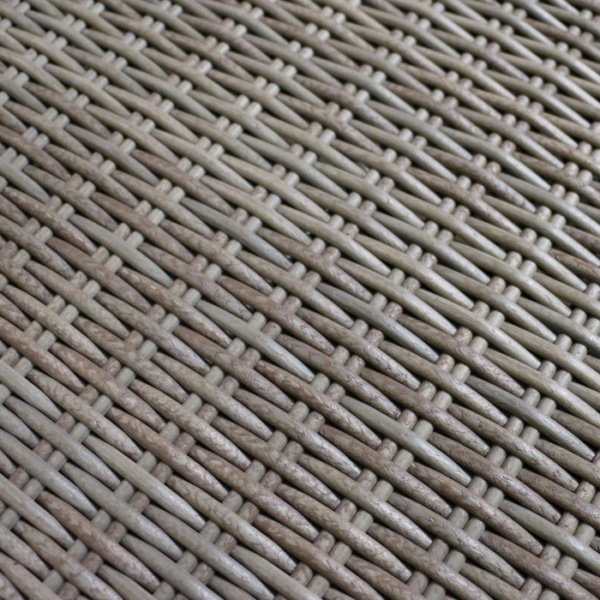 The wicker in this piece is a brand named Viro® highly regarded for its environmentally conscious business model, with fabrics that are through-dyed and UV treated so they stand the test of time, without morphing, cracking or dis-coloring. We love the colors, weaves and textures available in this beautiful range of wicker for the outdoors and resulting in amazing deep seating, chairs, loungers and dining tables. Teak Warehouse are specialists in outdoor furniture. Just peruse our website to explore more of our incredible options available to you! From contemporary #316 Stainless Steel to rustic Reclaimed Teak. 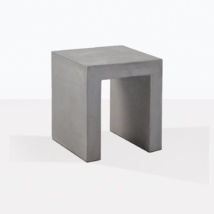 We have pots, planters, tables and benches in fabulous Raw Concrete, Batyline® and Textilene® mesh, powder coated aluminium, Resin, and of course our extensive range of A-Grade Teak furniture. Teak Warehouse has been in business for over 20 years, providing residential and commercial clients with furniture for poolside, bar furniture, dining tables and chairs, accessories, deep seating and relaxing chairs. We have every option for outdoor furniture! Call up or call in! Our friendly sales staff are in store 7 days a week, and excited to help you find the best mix of furniture for your space! And we deliver all over the country too! It’s easy to generate a quote, just provide us with the items you are after, and delivery details and we will return your request within 24 hours. We love mixing and matching materials. Place a couple of the Rocco Outdoor Wicker Side Tables (Kubu) with some of our low-lying A-Grade Teak Deep Seating units with a Taupe cushion for a color match throughout a blend of textures that is fabulous, good looking and long lasting! 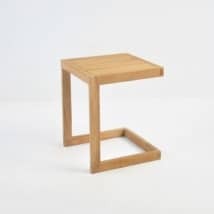 The Rocco Outdoor Wicker Side Table (Kubu) makes a great choice for indoors as well as out, try this charming table as a cool, contemporary bedside table. Match up with a stunning wicker sun lounger in the same Kubu Gray color for a sleek, well put together look you will adore. 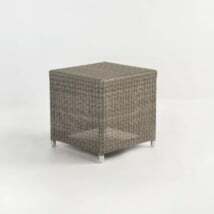 Commercial businesses love the upmarket look this Rocco Outdoor Wicker Side Table (Kubu) adds to their poolside setting. Give your clients different options with a mixture of loungers, relaxing chairs and the Rocco Outdoor Wicker Side Table all in Kubu Gray. Just gorgeous. 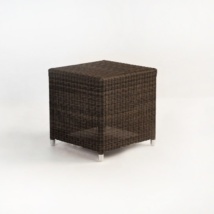 The Rocco Outdoor Wicker Side Table (Kubu) is also available in Java Brown. Choose what works for you and bring this fabulous furniture into your collection today!